A supportive housing project that stalled late last year amid pushback from the business community is once again moving forward. 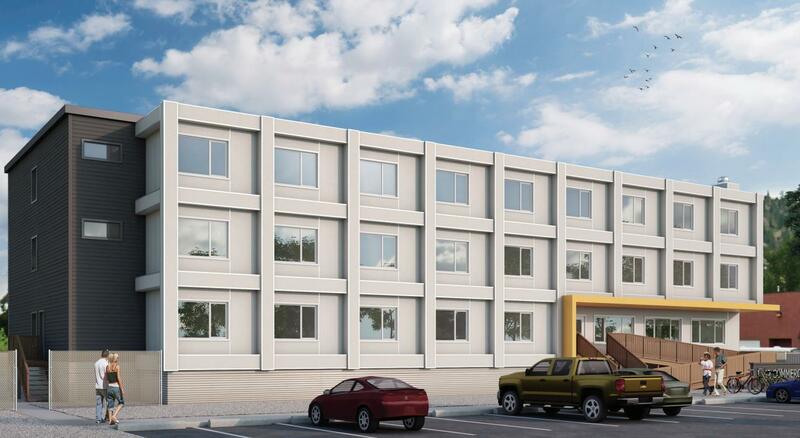 BC Housing is seeking a building permit for its modular housing project in the Mill Creek Commerce Park, which it has redesigned in an attempt to accommodate concern from neighbouring businesses. Originally conceived as a 55-unit complex built using repurposed construction trailers, the project caused an uproar among nearby business owners who said it didn’t fit the character of the neighbourhood. When the project was first proposed, Tony Gasperi told Okanagan Edge business owners were fine having supportive housing in their neighbourhood but did not like how the project was being executed. In its new iteration, the Hearthstone project has been redesigned as a 46-unit, purpose-built complex standing three storeys high. Gaelene Askeland is the executive director of the John Howard Society, which will operate the facility on behalf of BC Housing. She said Hearthstone is being built to support adults experiencing, or are at risk of, homelessness. “It’s a fairly high level of support for this building, so they’ll have experienced staff on 24/7 to meet the needs of the residents there,” she said. Hearthstone will provide residents with one hot meal a day, constant access to trained support staff, laundry, their own bathroom, employment programs, referral to healthcare services, and other important connections. Askeland says the building itself will be built along Commerce Ave, with parking out front for staff and visitors. 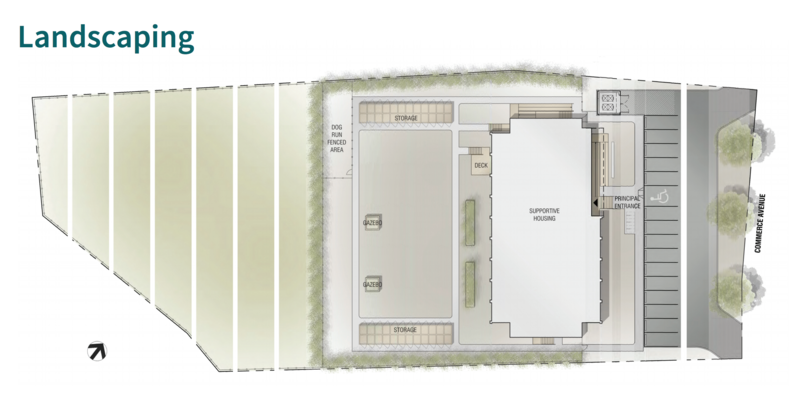 The site will feature a fenced dog run, gazebos, and outdoor storage units. It will also be completely fenced in, with privacy stripping built into the fence. “It’s not going to be the eyesore they (the neighbours) picture,” she said. Askeland points out that there are approximately 1,200 people in Kelowna on a waiting list for supportive housing, so these 46 units are badly needed. She said she is “thrilled” to see steps being taken to provide more supportive housing in the city, and that Hearthstone is a wonderful addition to Kelowna even if there are nine fewer units than originally proposed. She said Kelowna city council will weigh in on the development very soon, and that BC Housing hopes to have it completed by October.